Social media has come to dominate nearly everything. Children are rapidly becoming the most active participants on social media. However, there is no real introduction to the various platforms, no real awareness of the norms. There is no real way to prepare kids for what they might encounter, or how they should act on social media. Until now. 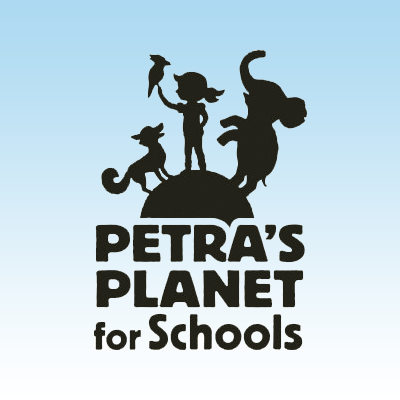 Dramaforum, a Finish software company, has just released Petra’s Planet for Schools. Petra’s Planet is a sort-of primer course to introduce students to social media in a safe, and monitored environment. We had a chance to ask The Petra’s Planet for Schools Team a few questions about the product. Dramaforum Oy Ltd is an independent Finnish media company specializing in children’s products. Established in 2009. Our common goal is to inspire children to stay curious and discover the wonders of the world safely. What age group is Petra’s Planet for Schools aimed at? Petra’s Planet for Schools is a safe online environment meant to use in schools by students 5-13 years old and their teachers. What makes your product different than what is currently available? Petra’s Planet for Schools gives the students a safe, closed environment where they can supervised by their teacher learn etiquette and safety rules when communicating in social media, emails and chat. That toghether with the twin class function and a virtual world with its exciting missions is a combination that no one else has. One thing that all parents and teachers worry about is the social media that surrounds all of us and which the children get involved with at a very early age. Many parents don’t know how or don’t have the time to teach their children to critically think what kind of texts and pictures are ok to post for others to see. Petra’s Planet for Schools makes it easy for the school to teach social media communication skills to children at an early stage in a safe environment supervised by the teacher. After learning the do’s and the dont’s the class can start communicating with other classes by sharing the class blog. The teacher can connect the class with another class that might be in another country, and when this twin class connection is made, children can teach each other about cultural differences and their everyday lives. Dramaforum has offices in Finland, UK and Canada, employing a team of experienced learning and digital media experts. We also have a highly professional advisory board consisting of Finnish teachers who are helping us to develop Petra’s Planet for Schools to serve schools and teachers in the best possible way. We are constantly developing Petra’s Planet for Schools so that it works on different platforms and keeps up with the times. We are currently launching the product in the US and Canada and several other countries are going to hear about us very soon!